McGuire, Wood & Bissette, P.A. is pleased to announce that attorneys Rick Jackson and Sabrina Presnell Rockoff have been named to the 2013 North Carolina Rising Stars list released annually by Super Lawyers rating service. The Rising Stars program recognizes top up-and-coming attorneys in North Carolina who are 40 years old or younger, or who have been practicing for ten years or less. Attorneys are nominated by their peers and researched by Super Lawyers before being selected to the Rising Stars list, and no more than 2.5 percent of lawyers in the state are included. Rick Jackson works primarily with small to mid-size businesses: medical and dental practices; technology and manufacturing companies; restaurants, breweries and other food and beverage businesses; real estate developers and property managers; and nonprofits. He assists with matters including corporate and securities, healthcare, intellectual property and technology, commercial real estate, and zoning and land use. Jackson is a LEED AP (Leadership in Energy and Environmental Design Accredited Professional), a distinction he earned through the Green Building Certification Institute and the first attorney in Western North Carolina to earn this distinction. 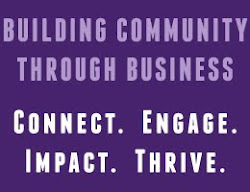 In the community, Jackson serves on the board of directors of the Asheville Downtown Association (ADA), Asheville Independent Restaurant Association (AIR), North Carolina Natural Products Association (NCNPA), and the City of Asheville’s Business Improvement District. Sabrina Presnell Rockoff returned to her native Asheville in spring 2012 from the Raleigh office of the international law firm Kilpatrick Townsend & Stockton LLP. Chair of McGuire, Wood & Bissette's Employment & Labor Law Team, Rockoff focuses her practice on advising on employee relations issues, developing human resources practices and policies, defending employment discrimination lawsuits, and representing employers in union matters. Rockoff is a graduate of Leadership Raleigh and a current member of Leadership Asheville.